The Marquin Group is committed to providing exceptional value every day. We believe that it is our methodology and approach that ensures our success. 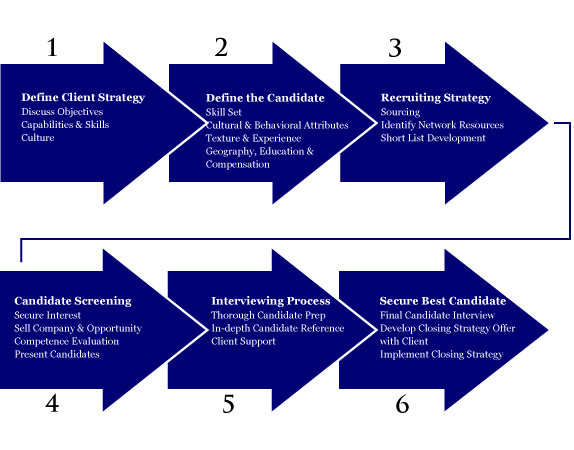 This methodology begins by developing an overall client strategy and includes a number of steps. The Marquin Group focuses on securing the best candidate through last-step interviewing with lead candidates. The overall process concludes with the closing strategy, which includes salary offer assistance for the client, as well as the necessary steps to secure the hire. ©2014 The Marquin Group. All rights reserved.